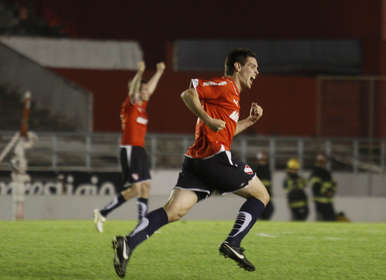 Independiente’s caretaker manager Rivardo Pavoni celebrated the team’s first win of the season on Friday evening thanks to Leonel Galeano’s 27th minute goal which consigned Gimnasia La Plata to defeat. El Rojo won 1-0 in the Doble Visera to give their fans something to look forward to next week, when the new manager will be named. Earlier, Vélez Sarsfield had returned to the top of the table, at least until San Lorenzo play Colón tomorrow. The Liniers outfit won 3-0 against Olimpo, who finished with nine men. You can see all four of Friday’s goals right here.